Balettakademien - The Ballet Academy - is one of Sweden’s most prestigious schools for professional dancers. 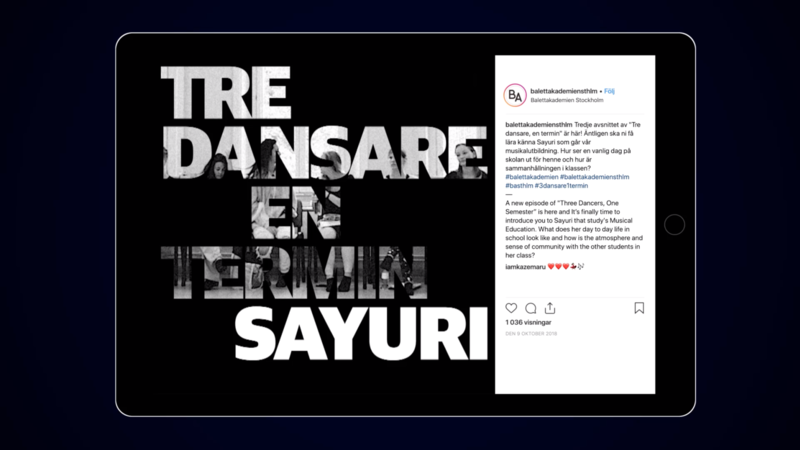 To reach awareness and engagement in digital channels and attract new students to apply for their proffecional dancers education we created the Instagram campaign “Three Dancers, One Semester”. 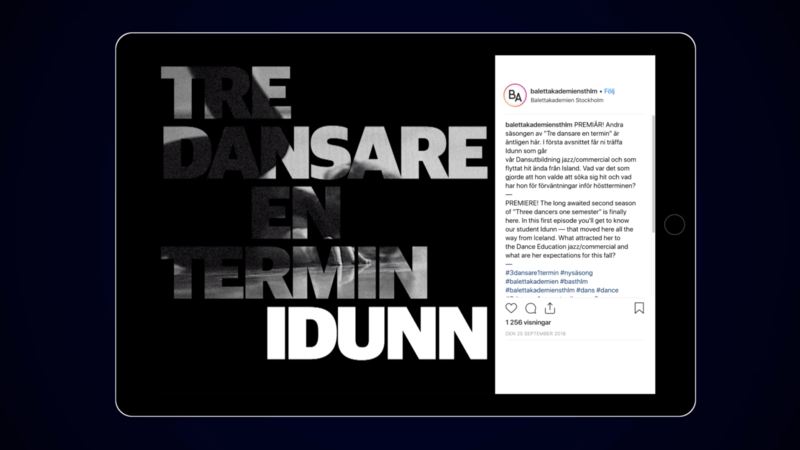 The idea was to tell the story of life at Balettakademien through the eyes of three different students, in weekly episodes. 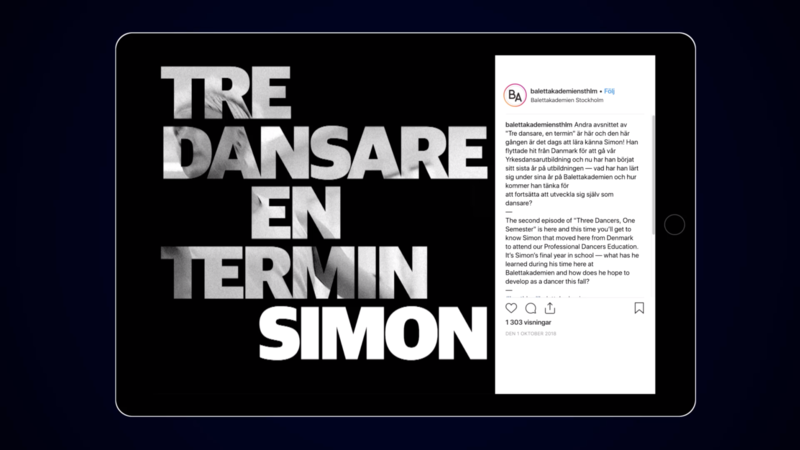 This goal with this campaign was digital at heart and focused on storytelling. The first season of “Three Dancers, One Semester” was a hit – with an 50% increase in applicants for the schools professional dancers education, compared to the year before. We are currently in production filming season three in the series.